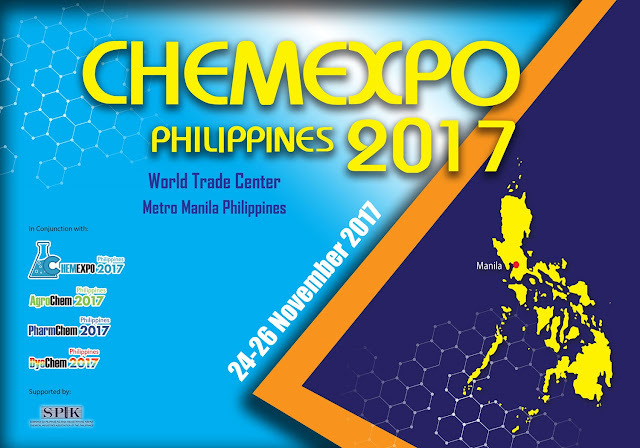 ChemExpo 2017, an International Chemical Products and Specialty Chemical Exhibition and Conference, brings together the biggest assemblage of chemical producers, manufacturers, and processors in the Philippines and around the globe, on November 24 - 26, 2017 at the World Trade Center, Pasay City. ChemExpo 2017 aims to reach local businesses as well as global markets by showcasing the Philippine Chemical Industry’s potential for optimal quality products and exceptional customer care value. The Philippine chemical industry sees a bright future for investment in the country as present demographics point to a promising market base for pharmaceuticals, personal care products, cosmetics, and other chemical- reliant merchandise. making it a veritable international trade scene. For more information, visit ChemExpo 2017 website at www.philippinechem.com.